Welcome back to the blog! 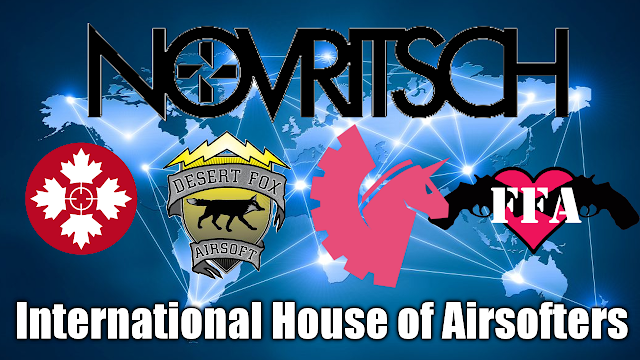 As many of you will know I flew out to LAX from London Gatwick on the 17th October 2018 to rejoin my girl Unicorn Leah for another 4 weeks in the United States of America for a lot of airsoft and box wine tasting. I left my home in the Midlands at 1am to be at Gatwick for 3am, because of diversions and roadworks we got to the airport at 4am, just in time to check bags and get through security. I flew out at 6.30am BST with Norwegian Air, my go-to low cost airline for transatlantic trips. The flight from London Gatwick to LAX is usually around 11 hours and 10 minutes but because we had some good tail wind, it only took 10 hours and 12 minutes. The food on the flight, as always with airline food was mediocre but the service was impeccable and I was sat next to a family who I chatted to for majority of the flight. I didn't get much sleep the night before as I was SO excited and I rarely sleep on the plane so as you can imagine, by the time I got to LA I was pretty exhausted. The day after I arrived we started packing for our weekend in Los Angeles which included a night game at Tac City Airsoft in Fullerton. For this game I used an AEG from the DesertUnicorn armoury: the HK416C from Elite Force with a G&G Armament tracer unit, a Tru Glo T1 RDS and the PTS Syndicate EPMs. For my loadout I ran: the 5.11 2017 Range cap, Wiley X EMEA Saber shooting glasses, One Tigris ladies lower face mesh mask in ranger green, Peltor headset, Crye Precision Gen 2 Ranger Green BDU, PIG Delta FDT gloves in Ranger Green, Z SHOT Inc Crye Precision licensed JPC In Coyote and the Salomon Quest Prime GTX boots. 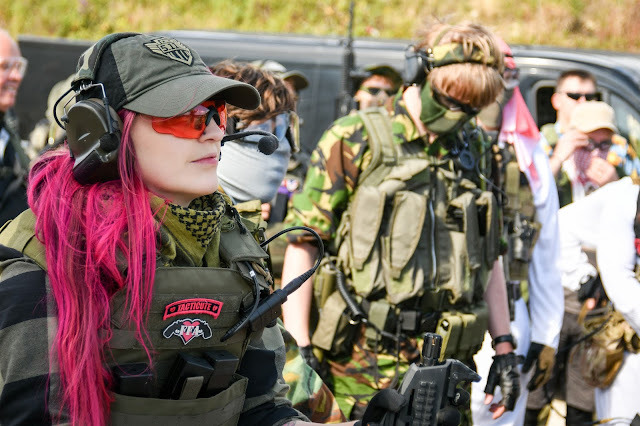 The guest list for the Tac City game hosted by Evike was pretty epic! L-R: Novritsch, Cooper, Jet DesertFox, Dutch the Hooligan, Demolition Ranch Matt, Operatordrewski, Spartan117GW, Robo Murray, Evike Matt, MSW Josh, little ol' me, Unicorn Leah, thehousegamers, Alfonse Kolis, Airsoftology. The game at Tac City was 6pm-10pm and we played multiple games of single elimination - 4 rounds in each game. The site is pretty big and has a lot of cover and even a sniper tower (not entirely sure what the point of that is in CQB but I got killed by a sneaky dude hiding it it!). The site has great facilities and the staff are pretty friendly. It is a site however aimed at a speedsoft style of play so charging in and shooting fast definitely helped. Keep an eye out for my blogs and vlogs on my trip!